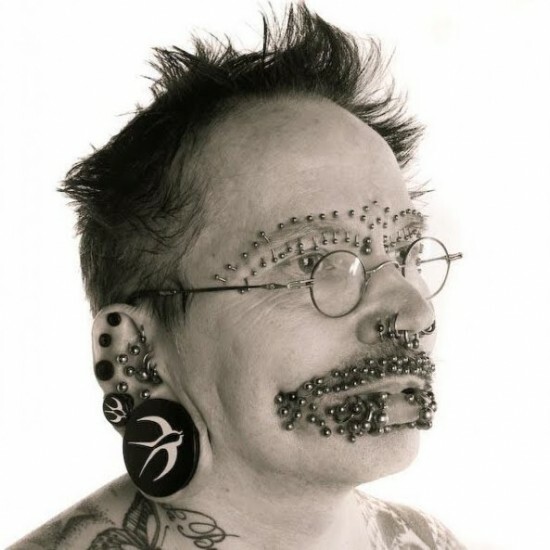 Rolf Buchholz, from Dortmund, Germany has a total of 453 studs and rings all over his body, and has recently been acknowledged by Guinness as the most pierced man in the world. 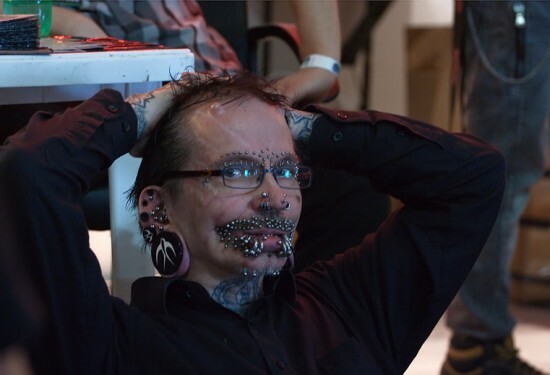 The 52-year-old computer expert discovered the world of piercing 11 years ago, and loved it so much that he has since then had 453 piercings in various parts of his body. Looking at him, you’d probably think most of them are on his head and face, but you’d be wrong. 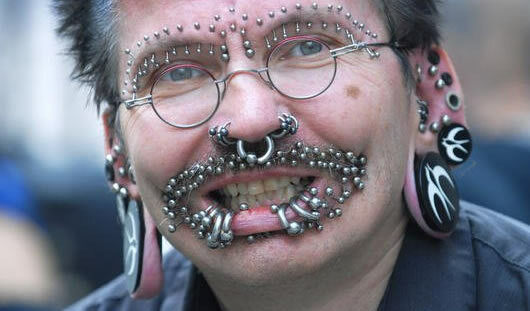 Rolf has 94 piercings in and around his lips, 25 in his eyebrows, 8 in his nose, and a whopping 278 in his genital area. I don’t need to see it to believe it, but I wonder how he managed to fit that many in such a small area. Apart from his passion for piercings, Bucholz also has a thing for tattoos, and sports a full body suit that covers his entire torso and limbs. Although he has more piercings than any other man in the world, Rolf Bucholz has a long way to go if he wants to become the most pierced person in the world, seeing as Elaine Davidson, the most pierced woman in the world, sport almost 7,000 piercings all over her body. Rolf, along with several other record holders has been featured in the latest edition of the Guinness Book of Records, available now for $28.95.